Inspiration, Parody Song Lyrics of Red Hot Chilli Peppers, "Under The Bridge"
If "Weird Al" Yankovic or Michael Jackson gets a chance to see the lyrics to this song, That would definantly make my day. And to actually meet either one of them or both of them, would leave me to die as a happy teenager. Why didn't "Weird Al" use this entire song? So far I have learned every dance step to "Thriller"
v2:Another inspiration is a man they call "Weird Al"
If anyone knows how I will get to meet or work with "Weird Al" and/or Michael Jackson, could you send me an e-mail to bowwowwanted15@yahoo.com I live in Monroe, NC but These guys have really inspired me to do what I do. Look for more title By Mr.Karaoke a.k.a. Chris Helms. Also be on the look out for new Broadway parodies in the near future by Broadway Beats, which is me and an ensemble of random chosen people by me. I Have written one Broadway parody already to the dentists song in "Little Shop of Horrors" which will feature one of my closest friends, Jessica BeLue. Keep on the look out for it. And if there is a possible way for me to have some recording sessions, That would be nice to. Mr. Karaoke featured my cousin, Stephanie Fowler, but she has a job now that has no set schedule so it's hard for me to get around to having practices for our music. So I guess what I'm saying here is that I need some back-up singers for my posted parodies here. Thank You for reading this. 555, nicely done. Keep it up, dude! Welcome Chris to AmIRight. I couldn't get the verses to pace to The Original Song (TOS), the choruses were much better though. While you probably won't meet Weird Al or MJ here ( I hope you meet Weird Al one day, not sure about MJ...), there are countless authors here who put out great parodies on a regular basis. 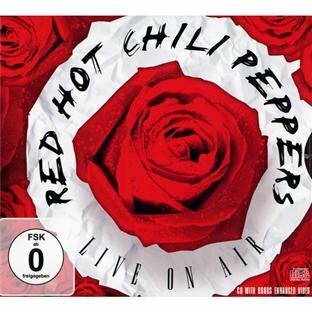 The address of this page is: http://www.amiright.com/parody/90s/redhotchillipeppers5.shtml For help, see the examples of how to link to this page.